What a horrible, horrible demo. I think the gents over at Codemasters/Spark need to listen to this guy more. So sad... prior to this I was actually relatively interested in this game. I agree, what a let down. Ah well. There's always Freedom Fighters! 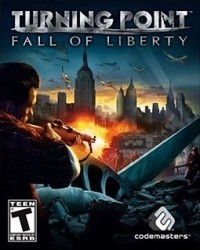 Really disappointing... it's not a downright awful game, but it's really bland and simply doesn't hold a candle to any of 2007's first-person shooters, or even 2003's Freedom Fighters when it comes to fun and atmosphere. I'm no graphics whore but I'm honestly surprised this game is coming out on only PC and next-gen consoles, it looks so unpolished.